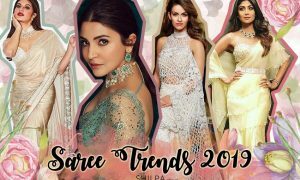 There are different types of shoes for different occasions. Discover all the different styles of men’s and women’s footwear in our fashion glossary below. 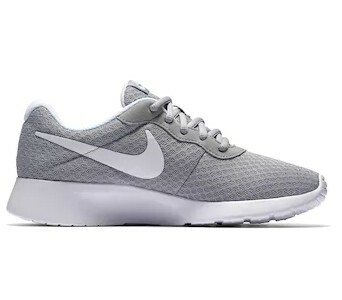 Athletic shoe (N.) [ath-let-ik shoo] See sneakers. 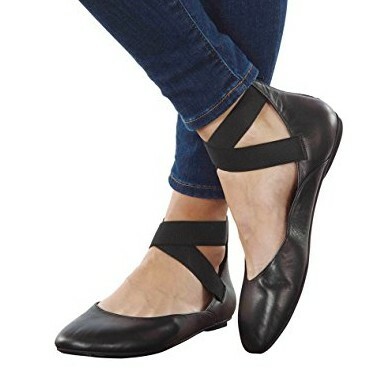 Ballet flats (N.) [ba-ley flat] Inspired by ballerina shoes, ballet flat shoes have covered U-shaped toes and no heels. Ballet shoe (N.) [ba-ley shoo] See pointe shoe. Boat shoes (N.) [boh-t shooz] Boat shoes have a decorative side lacing detail and a stitching line in the front, are usually made out of leather or canvas and with rubber soles designed for use on a boat. 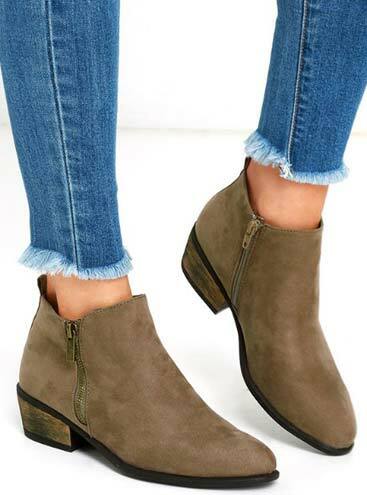 Bootie (N.) [boo-tee] Types of shoes that are ankle length are called booties. 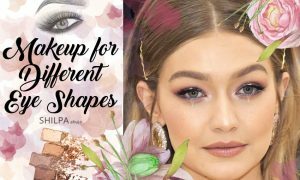 They can be flat or heeled. Boyfriend (N.) [boi-frend] Shoes for women that look like they belong in a man’s wardrobe are called boyfriend shoes. 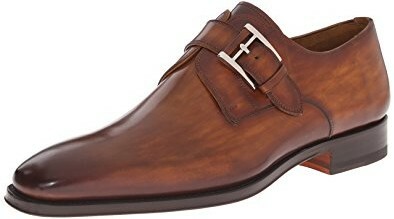 They can be oxfords, derbys, brogues, etc. 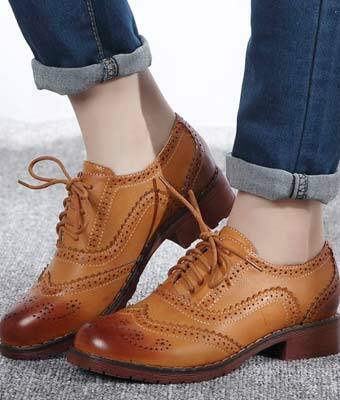 Brogue (N.) [brohg] A style of shoe that has perforated and decorative edges on panels is called brogue shoe. 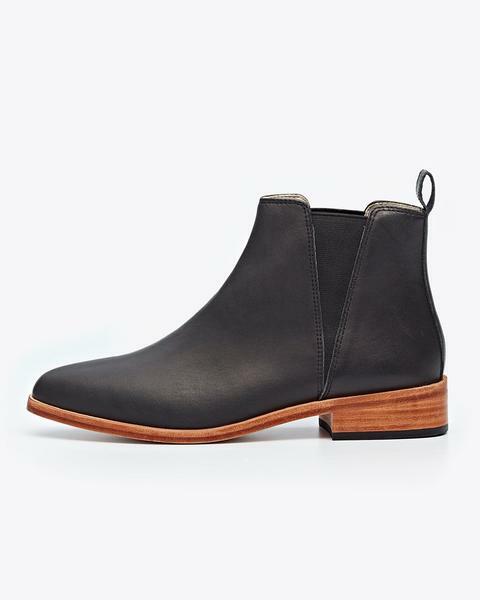 Chelsea boots (N.) [chel-see boots] A tight-fit, ankle length boot with elastic on the sides is known as a chelsea boot. Chukka boots (N.) [chu-ka boo-ts] Ankle-length shoes with open-lacing and 2-3 pairs of eyelets only, made with leather or suede, and with leather or rubber sole. 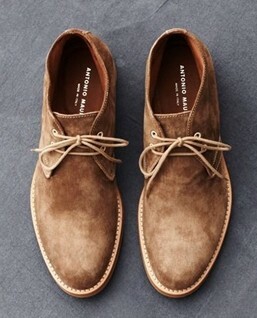 Mostly, chukka boots are monochromatic, with their lace, sole and leather color matching each other. 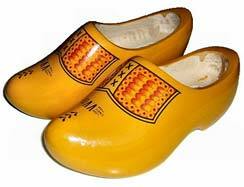 Clog (N.) [klawg] Traditionally worn as protective footwear by miners and farmers, clog shoes are made either partially or entirely from wood. 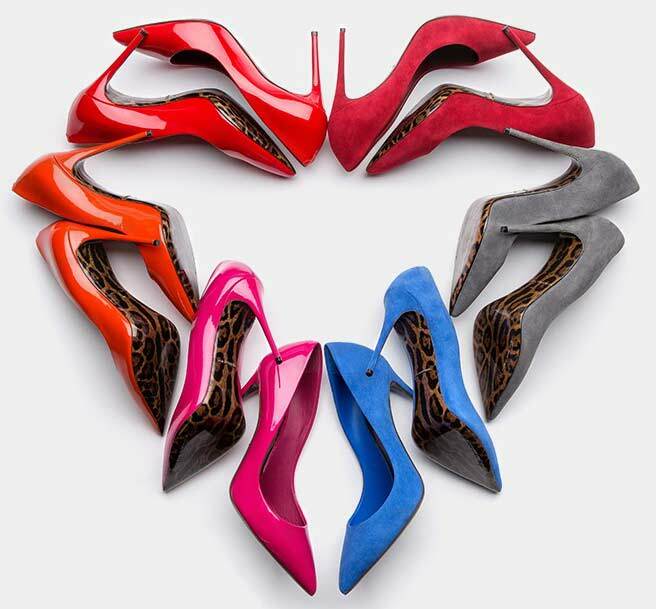 Court (N.) [kohrt] See pump shoes. Crotch-high boots (N.) [kroch-hahy boots] A runway trend in which boots are crotch or upper thigh-length is called crotch-high boots. 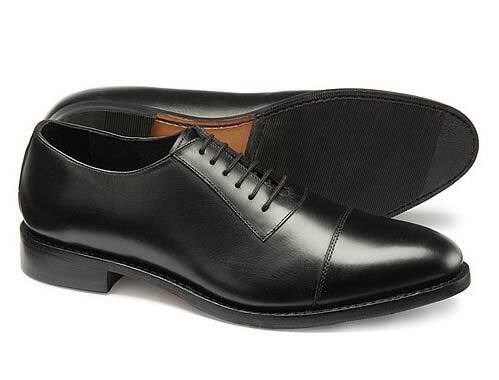 Derby (N.) [dur-bee] Formal shoes with an open lacing section, which means that the bottom of the eyelet panel is open, are called derby shoes. 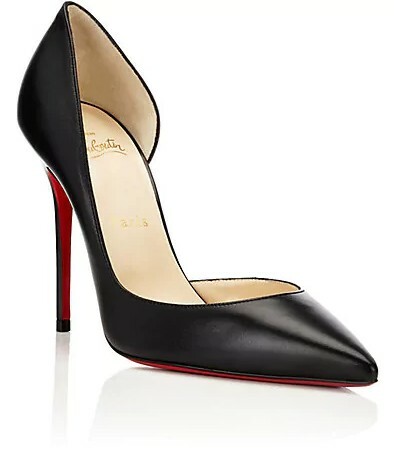 D’orsay (N.) [dohr-say] Shoes that are cut open to reveal the side of the foot on one or both sides are known as d’orsay shoes. 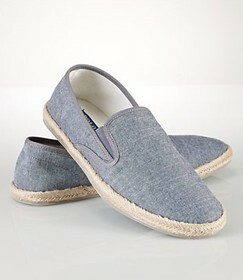 Espadrille (N.) [es-puh-dril] Shoes with soles made from braided natural fiber are called espadrille shoes. 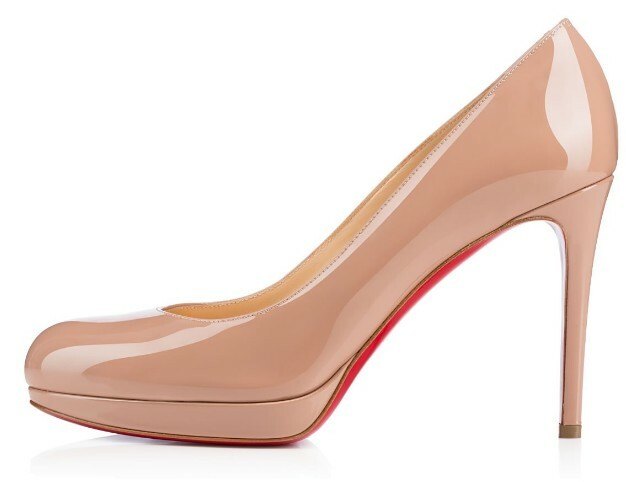 They can be flat, platform or wedge-heeled. 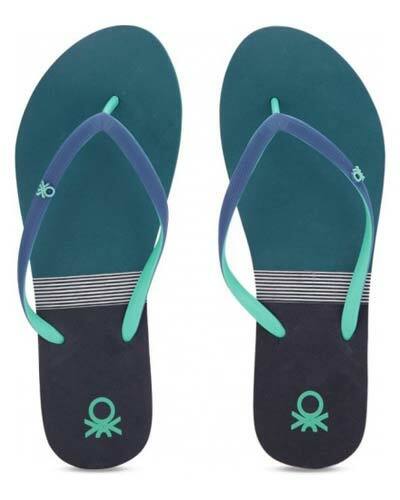 Flip-flops (N.) [flip-flop] A type of sandal, which is flat and has two thin straps to hold the foot in place is called flip-flop. Gladiator (N.) [glad-ee-ey-ter] Gladiator shoes are inspired by the shoes of the roman gladiators and have multiple straps caging the feet and leg. Gumboots (N.) [guhm-boot] See Wellington boots. 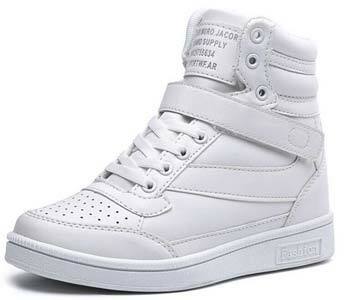 High tops (N.) [hahy tops] A variation of sneakers that reach the ankle are called high top shoes. 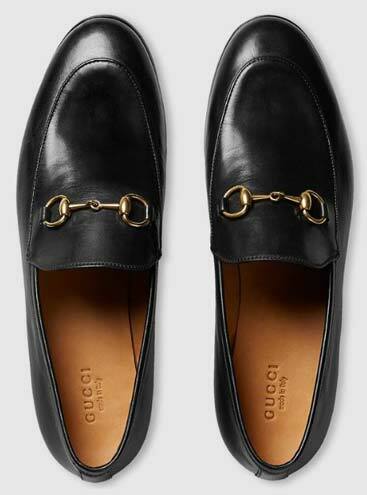 Loafer (N.) [loh-fer] Flat close-toed shoes made with multiple leather panels are called loafer shoes. 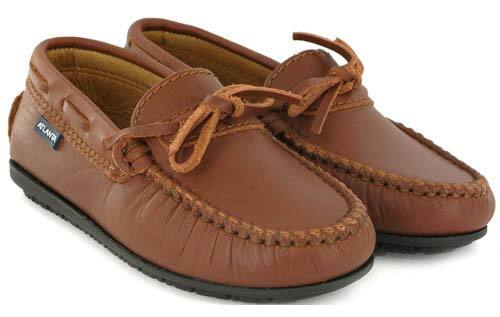 These are a variation of moccasins. Mary Janes (N.) [mair-ee jeyn] Traditionally worn by kids, Mary Jane shoes are broad, low-heeled, rounded at the toe and have a strap with a buckle to fasten the shoe. Moccasin (N.) [mok–uh-sin] Flat shoes with a closed and curved toe and hand-stitching in the front are called moccasin shoes. Traditionally, they’re made from deerskin and use only two panels of leather. Monk (N.) [muhnk] Shoes that have no lacing and fastened with a strap and buckle are called monk shoes. Motorcycle shoe (N.) [moh-ter-sahy-kuh l shoo] Motorcycle shoes or motorcycle boots are typically laced and low-heeled, worn by motorcycle riders. They may be above-the-ankle or calf-length, and typically made with sturdy material or thick leather for safety. Mules (N.) [myool] Typically close-toed, shoes that have no panels at the back of the foot are called mule shoes. 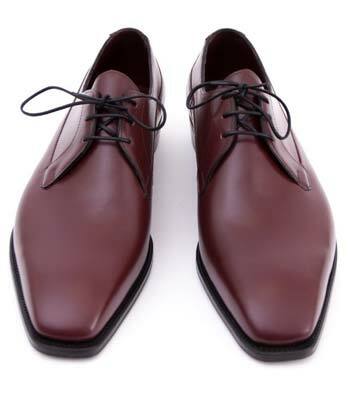 Oxford (N.) [oks-ferd] Similar to derbys, oxford shoes are formal shoes with a closed lacing section. 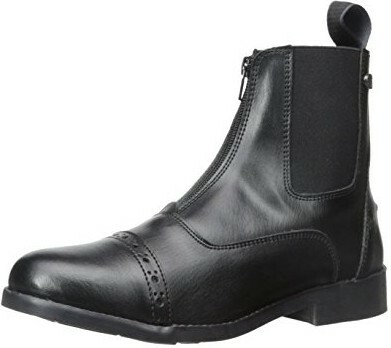 Paddock boots (N.) [pad–uhk boots] A shorter, ankle length version of riding boots are called paddock or jodhpur boots. Peep-toe (N.) Shoes that are somewhere between open-toed and close-toed to reveal just a portion of the toes are referred to as peep-toe shoes. Platform (N.) [plat-fawrm] Types of shoes that have a raised sole are called platform shoes. Pointe shoe (N.) [point shoo] A shoe worn by ballet dancers to do pointe work, or dance by standing, balancing or spinning on tip-toe. 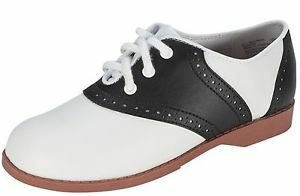 Also ballet shoe or ballerina shoe. Pointe shoes also form the inspiration for the popular ballet flats, which are not used in ballet dancing, but may be worn casually. 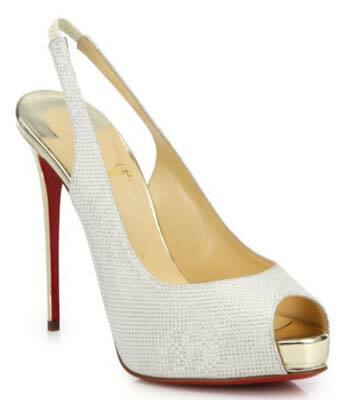 Pumps (N.) [puhmps] Close-toed, high-heeled shoes that don’t have any fastening are known as pump shoes. 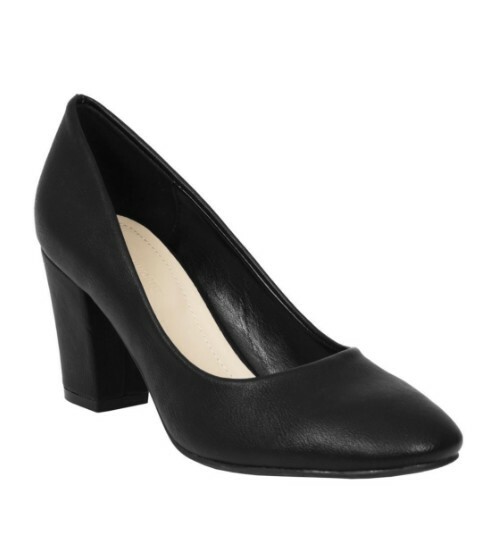 Also court shoes. 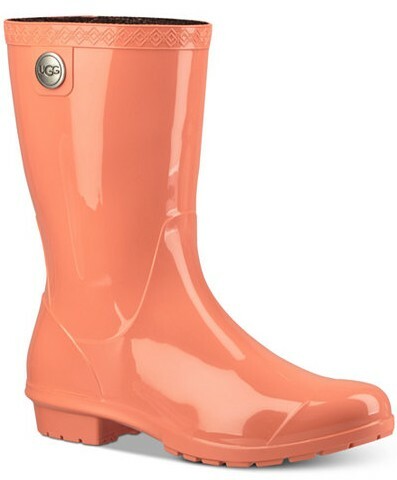 Rain boots (N.) [reyn boots] Boots which are made from waterproof materials and worn during rainy seasons are called rain boots. 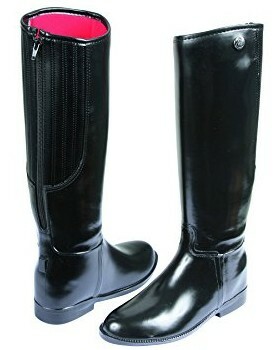 Riding boots (N.) [rahy-ding boots] Typically used for horse riding, riding boots have a hard toe and are knee length. 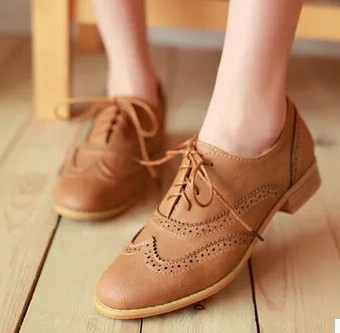 Saddle (N.) [sad-l] Shoes similar to oxfords but with a decorative panel like brogues are called saddle shoes. 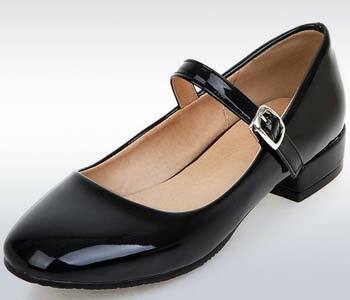 Slingback (N.) [sling-bak] Shoes that are fastened with a strap at the back of the foot are called slingback shoes. 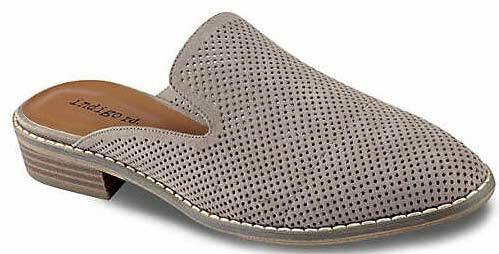 Slip-on (N.) [slip-awn] Slip ons can refer to two different types of shoes. 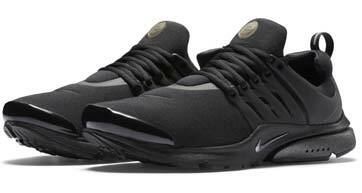 The first kind is a sneaker without laces or any other fasteners. And the other refers to shoes that are open-toed and have no panel at the back. 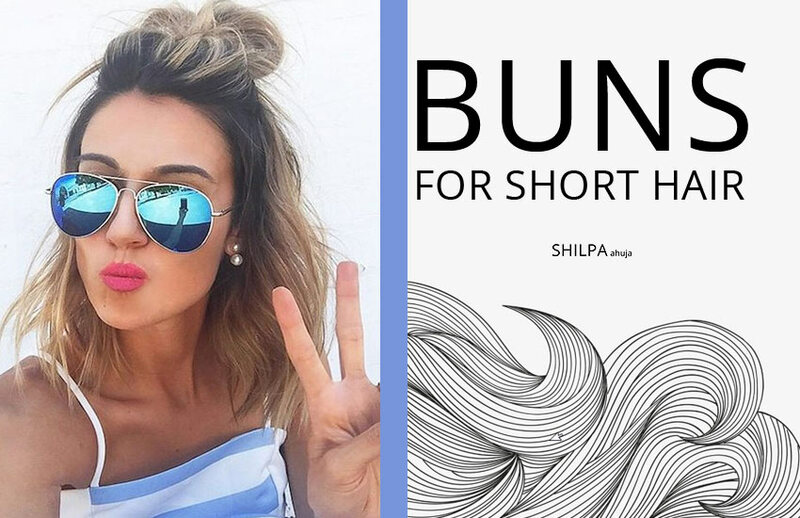 Slouchy boots (N.) [slou-chee boots] Boots that are loose-fitted at the top are called slouchy boots. 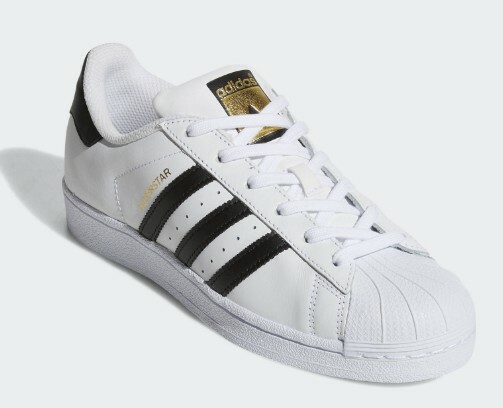 Sneakers (N.) [snee-kers] Shoes with a flexible sole and lacing closure, typically worn for sports and physical activities are called sneaker shoes. 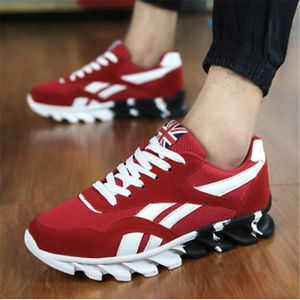 They’re also known as athletic shoes, sport shoes or trainers. 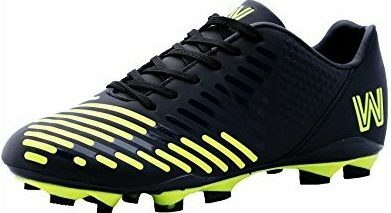 Soccer shoe (N.) [sok-er shoo] Types of sneakers with spikes at the bottom of the sole are called soccer shoes. Sport shoe (N.) [spohrt shoo] See sneakers. Toe shoe (N.) [toh-shoo] A glove-like shoe that mimics barefoot look or has individual compartments for all five toes is called a toe shoe. It is typically used in athletics, weight-lifting or ballet dancing. Trainers (N.) [trey-ners] See sneakers. 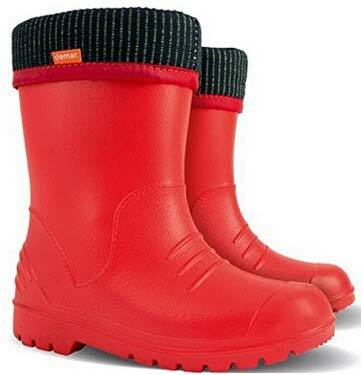 Wellington boots (N.) [wel-ing-tuhn boots] Waterproof boots made from rubber or plastic are called as wellington boots. 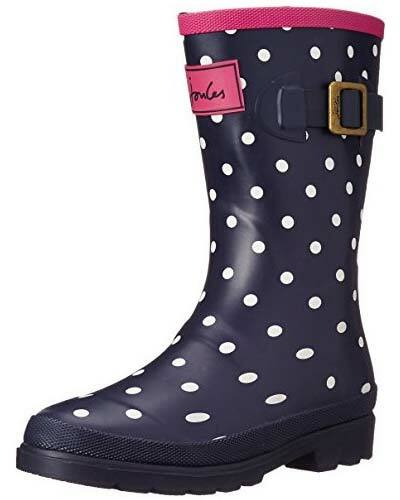 Also gumboots.